We’re beginning to see the signs of spring which has included longer periods of daylight and spring training in Major League Baseball also in full swing. And although that NASCAR got their season going last month, it is time for the men on IndyCar to show what they can do behind the wheel. Last year’s IndyCar season came down to final race of the year at Sonoma where the title was won by Scott Dixon as he edged by Juan Pablo Montoya. Dixon and Montoya finished tied for the points lead, but Dixon won more races (three), than Montoya’s two. And aside from the battles on the race tracks and street courses of large metropolises around the United States and Canada during the spring and summer, there will be some fierce competition between the team owners who are seeking to undue the dominance of Chip Ganassi Racing. 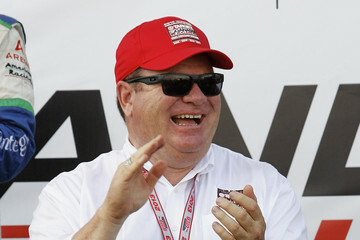 Since 2008, Chip Ganassi Racing has taken home six IndyCar Titles as they’ve become the envy of the circuit. And with Dixon, Tony Kanaan, Charlie Kimball, along with rookie Max Chilton racing under Ganassi’s banner for 2016, this team will once again be a force to be reckoned with. But it won’t be all about Ganassi as Roger Penske has once again fielded a quartet of sharp drivers. Of the four drivers that will be driving for Penskie in 2016, Montoya, Will Power, and Helio Castroneves all finished in the top five of the driver standings last season and they should all once again be reckoned with this year. For Montoya it is simple as he will need to finish this time around. Montoya was in the catbird’s seat for the entire season in 2015 until a pair of bad finishes at Iowa and Mid-Ohio late in the year opened the door for Dixon to take the top spot as he would finish in the top ten in each of the final three races of the season which included winning the final race at Sonoma. And this should help to add even more intrigue to the circuit over the coming months. Power took home the IndyCar Title in 2014 and after a mid-season struggle in 2016 which included taking 22nd at the Milwaukee Mile that sidetracked him, he rallied to finish strong and he is looking to carry that momentum over to 2016 while Castroneves is at the other end of the spectrum as he started 2015 strong, but faltered down the stretch. 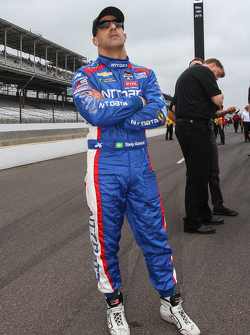 For Kanaan, he finished 2015 eighth in the driver standings, but he played an integral part in Dixon winning the title. In the final race of the season, it was Kanaan that held off Montoya from finishing in the top five which then sealed the title for his teammate Dixon. But make no mistake about it that Kanaan wants to win his second IndyCar Title in 2016; especially since he never got to the winner’s circle last year. But 2016 won’t simply be defined by the drivers for Penske or Chip Ganassi Racing. Andretti Autosport has a pair of strong drivers in Ryan Hunter-Reay and Marco Andretti with Hunter-Reay having already won the IndyCar Championship in 2012. In each of Josef Newgarden’s four years on the IndyCar circuit, he has improved in the driver standings which was highlighted by him winning in Alabama and Toronto last spring with 2016 possibly being the season that he cracks the top five of the standings for Ed Carpenter Racing. Graham Rahal continues to add to family legacy on the track. Rahal runs for Rahal Letterman Lanigan Racing where his father and former driver Bobby is a part-owner. Rahal took the next step in his racing career least season when he finished fourth in the driver standings and he won a pair off races which included winning at Mid-Ohio which is right in his backyard being that he is a native of Columbus, Ohio. And then there is the case for a pair of Colombian drivers in Carlos Munoz and Gabby Chaves. Munoz and Chaves have been the last two respective IndyCar Rookie of the Year winners and now each is not only looking to push Montoya as far as being the top Colombian driver on the circuit while also attempting to at least finish in the top ten of the driver standings to show that they are for real. So when the Indy drivers hit the streets of St. Petersburg, Florida this Sunday afternoon for the first race of the year, there should be an electric atmosphere along with the drivers now operating in safer vehicles following the unfortunate death of Justin Wilson last summer. Last year came down to the final race of the year and 2016 should be another fun filled time on the Indy circuit.